Thinking of traveling with your grandchildren? Lynn Trainor will share how to plan a fun adventure and how to capture it by writing a book! 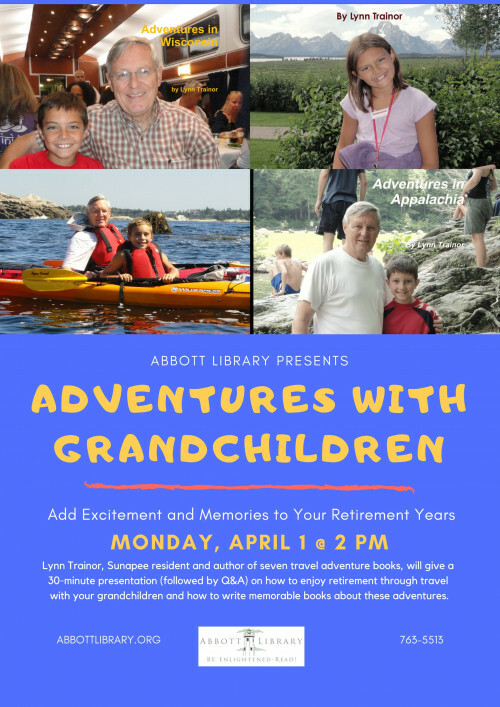 Join him at Abbott Library and get inspired to make memories!